As I embark on an exciting, new beginning this spring (with Monte Carlo beckoning in July! …. more on this another time!?! ), I feel the time is right for me to share with you, why clearing our energy channels is vital to our wellbeing, and why the balancing of our chakras is so important. Keeping our physical body alive, healthy and functioning well is a complex exercise in balancing. It’s called homeostasis, and it keeps all the chemicals, hormones and processes of our body in harmony with each other. If our body deviates from a state of homeostasis, then we’re in big trouble. In the same way, our chakras must be in balance and aligned with each other. The subtle body is that part of your body that vibrates at a much higher rate than your physical body. This makes it much less dense than your physical body. The state of your subtle body, or energy body, can be perceived through your intuition. You can also tell the state of your energy by how others react to your energetic vibrations. Your subtle body includes your energy centres (the chakras), energy channels (the meridians) and your energy field (your aura). Everyone knows how to take care of their physical body, but how do you care for your subtle body? Keeping your energy body clear is even more important than keeping your physical body clean, because the state of your health is a direct reflection of the state of your energy. How does energy become toxic? How do you know if your energy needs to be cleared? There are a variety of methods to clear your energy. A session with an energy healing practitioner will clear your field, as well as drinking more filtered water and eating more raw food. Outdoor activity will help you feel clearer and lighten any burdens you may be carrying. Deep, slow breathing also accentuates this effect. It’s not necessary for our chakras to be perfectly, completely balanced all at the same level of openness and activation. For most people, one or more chakras stand out as being stronger than the others. This is normal and not at all undesirable. It’s only necessary that the chakras not be wildly out of alignment, such as one chakra being nearly shut down, or another blown wide open in comparison to the others. 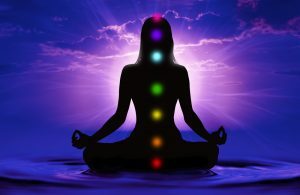 Your body and your life will give you the information you need to know if your chakras need balancing. So, how do you measure up?? If you really want to learn more about health & happiness and wisdom & wealth, watch this space over the course of 2019……you don’t want to miss a thing! !